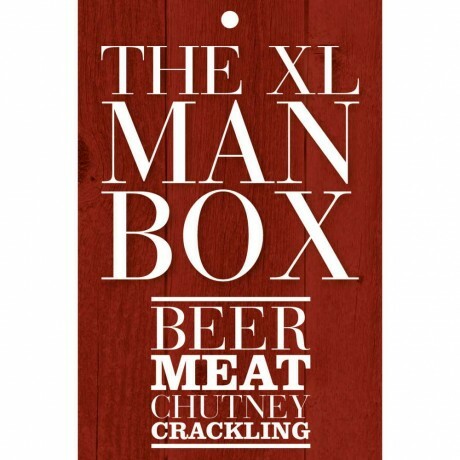 A gift box full of delicous Artisan snacks like Beer, Meat, Crackling and Chutney...What more could a man want? This is our large version. This gift is ideal for a man or women who love their chill out time, in front of the T.V, in their Man or Woman cave or out in the garden. This gift is perfect for anyone who truly appreciates proper British food. Are you looking for something to buy your Dad or Grandad for Father's Day this year? Maybe there is someone in your life that you consider to be a Father figure and deserves something special this year? Does the Man in your life, love watching sports on T.V? 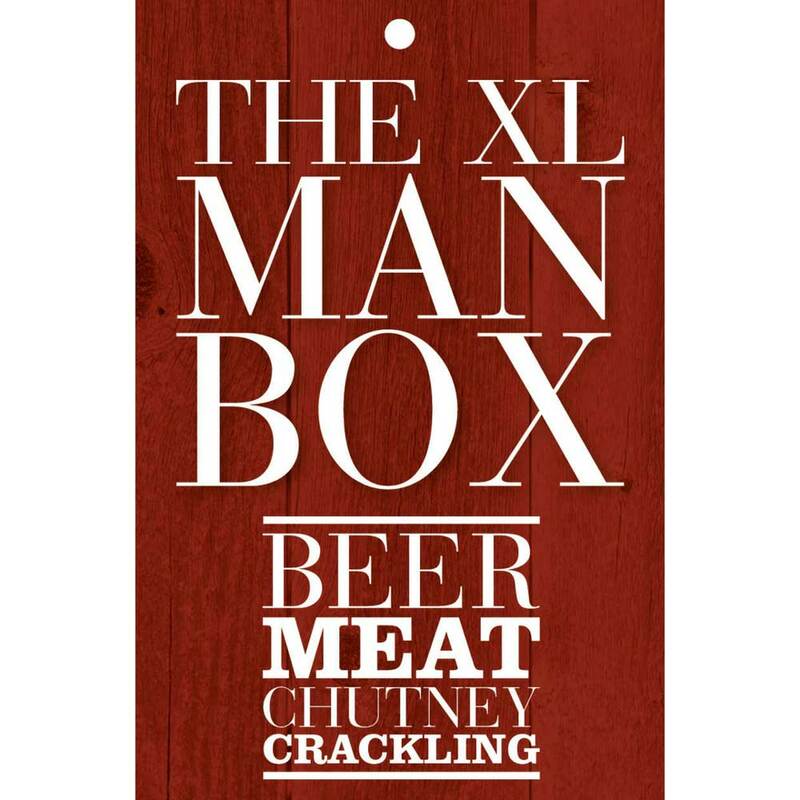 Well, The Man Box is the perfect accompaniment! 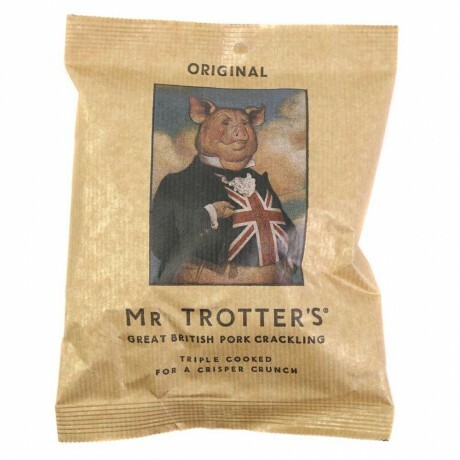 With Premium Lager, British Charcuterie, Pork Crackling and Chutney. The Man Box Collection was dervied from our customer's feedback that they couldn't find any amazing gifts for men on the market. They felt there was plenty of gifts for women but lacked in the men's department. As a result, The Man Box was created! We wanted to create a gift that was full of things that are typically enjoyed by men. Our female and male customers told us they would love something with proper British foodie gifts inside. So, we partnered with some of the best small artisan producers to bring you, a hamper full of proper British Artisan Snacks and Beer. 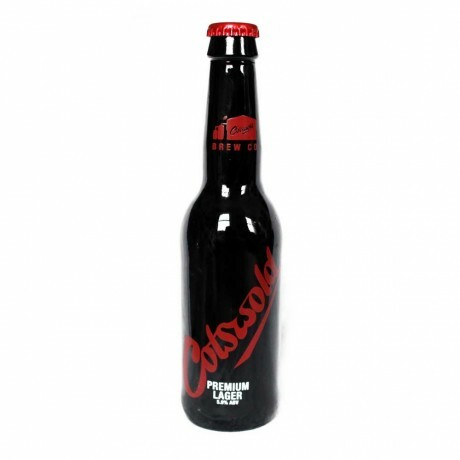 PREMIUM COTSWOLD LAGER made by The Cotswold Brewing Co, 5.%, 330ml - A smooth, subtle lager with a soft, fruity flavour. Preservative free and unpasteurised for the freshest, truest possible taste. THE COTSWOLD PIG made by Ross & Ross Food, 4.4%, 500ml - Premium Dark Golden Ale. Full bodied, generously hopped with a balanced variety of flavours. BRITISH CHARCUTERIE made by the Cotswold Curer, 100g - Spicy Chorizo - this air-dried chorizo is produced in the Cotswolds with locally sourced free-range pork. This is a take on the classic Spanish sausage. They use freshly ground spices and the finest quality Pimenton De La Vera. They also add a healthy glug of sweet sherry to add complexity and a depth of flavour. BRITISH CHARCUTERIE made by The Cotswold Curer, 100g - French Salami - this award winning air-dried salami is based on the classic French 'Rosette' De Lyon, but produced in the Cotswolds using locally sourced free-range pork. It has a mellow yet complex flavour with great depth and balance. 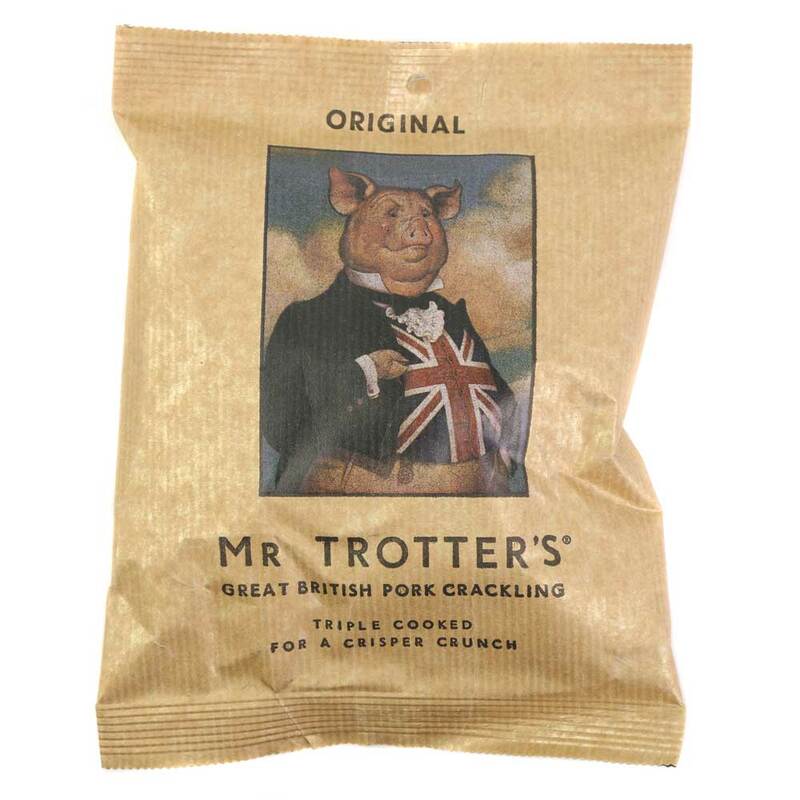 MR TROTTERS PORK CRACKLING, 60g - Pork Scratchings made from prime British pork skin from the finest British pigs. Cooked in small batches by hand to produce the ultimate porkie crunch. SMOKED APPLE CHUTNEY made by Ross & Ross Food, 115g - slow cooked Cotswold apples with smoky rounded flavour. 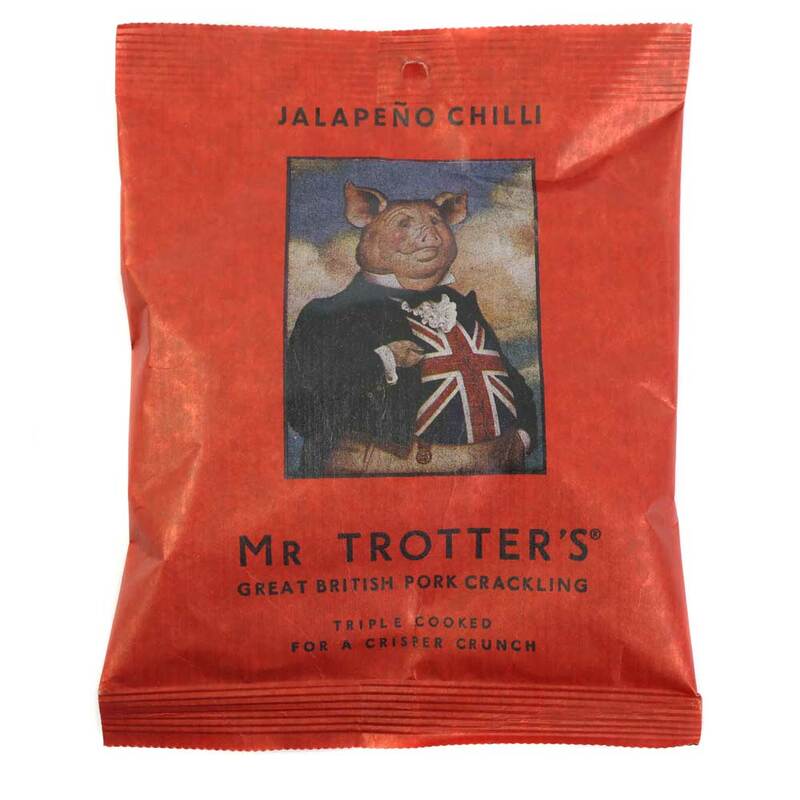 A great accompaniment to all things pork. ONION & ALE CHUTNEY made by Ross & Ross Food, 115g- A great all-rounder for cheeses and terrines.Packaging - medium stamped picnic box, XL Man Box tag. The chopping board pictured is not included in the gift and is for photographic purposes only.